Taking into account the past and prevailing sales trends, everything points to a continuation of the marked preference for most hotel reservations being made on the strength of information first found online in 2017. Since the Internet first became an international community and marketplace, information about a hotel with an online presence has been written not only by the hotel itself but also by clients. According to research recently conducted by TripAdvisor, up to 96% of clients chose a hotel based on reviews they had read online; what’s more, 53% of clients deliberately avoided hotels which did not have any feedback or client reviews published online. Reviews can often be frustrating – however, for the most part, they reflect the truth, and may indicate important areas of improvement in the areas of customer satisfaction and offered services. This is the field of reputation management. Hospitality industry professionals, seeing the undeniable effect that negative client opinions have on hotel revenue, have added ‘client opinion’ to the list of variables that have a significant part to play in hotel pricing strategy, particularly as a part of the larger revenue management process. 2012 research from Cornell University and ReviewPro show that an increase of 1 point in GRI™ (Global Review Index – a ReviewPro parameter) causes a RevPar increase of 1,46% and an increase in reservations of 0,5%. A hotel’s reputation is composed of several key elements: location, personnel, gastronomy, and marketing, among others. With this in mind, what is the best way to manage your hotel’s online reputation? Our human nature means that it is easier to recall our bad experiences than our good ones. Therefore, in order to receive as many positive reviews as you can, it is wise to encourage satisfied guests to post leave a review on such websites as Booking.com, TripAdvisor, and HolidayCheck. This can be done during check-out while thanking them for their stay, or by sending an automated email afterward asking them for their opinion and including a link to the hotel’s online profile. Some online portals allow you to install an application on a Facebook page, or a widget on your hotel’s own website. Do take note that it’s not only on the previously-mentioned websites that guests can leave reviews. Your Facebook page, for example, is a place where direct contact between your hotel and your clients is also possible and can be easily managed. Guests looking for the fastest response possible often post questions on a hotel’s Facebook page. Additionally, Facebook offers the possibility of creating a separate “Reviews” section of your main page, where guests can leave a number of stars and an opinion. Google is also a place where guests can leave their reviews, and also their own photos of your establishment. Always check for new online reviews on a regular basis. The majority of online portals offer the option to receive notifications of new client comments automatically, however, the best way to keep track is to take advantage of an internet-monitoring tool. Such tools allow you to create your own reports of all references concerning your hotel in community portals, on forums, blogs, in article comments, etc. You can respond to these references, the sum of which combined put at your disposal an advanced analysis of all comments, sentiments, and emerging influences. Whether or not you reply to comments counts towards your online reputation as a whole. Don’t be afraid to respond to negative comments – they often provide a valuable lesson or the motivation to make a much-needed change in your hotel. The answer to such a comment cannot, however, be aggressive – TripAdvisor’s recent research claims that as many as 70% of users consider a rude, aggressive answer to a negative review as a major disincentive to book a stay at the given hotel. Please also remember that your replies should not be identical, copy-pasted templates. Just as in real life, approach each commentator individually. Making an in-depth analysis of all guest comments can produce a ranking, which your potential clients eagerly look for. There were no bathrobes in the hotel rooms? Buying bathrobes will be not a mere expense, but a good investment in your reputation. As written above – the better your grade, the higher your RevPar and overall occupancy will be. If you already have the previously-mentioned tools for monitoring the internet and social media, you can expand your online toolkit further with programs that measure your GRI™ index. They work either individually or in tandem with tools for managing sales or pricing – working to find the correlation between these variables and the price recommendations resulting in ADR value. The most popular tool of this kind is ReviewPro, whose Guest Intelligence experts created the GRI™ online reputation score. Its current use is estimated at more than 30,000 hotels worldwide. 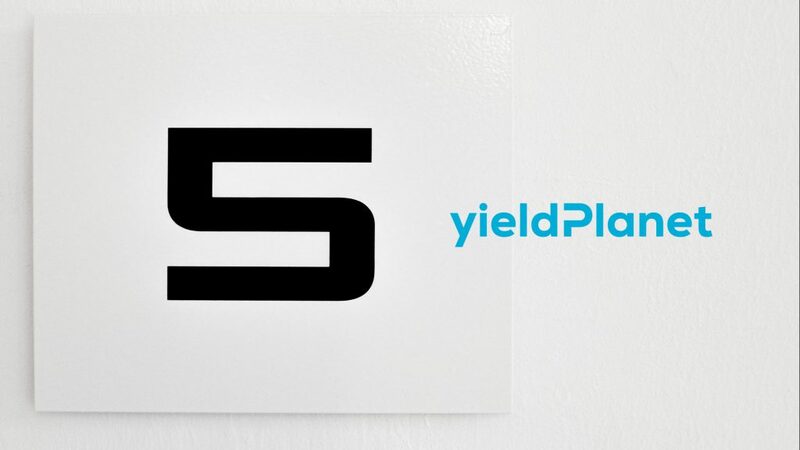 Certain of its elements have been incorporated into new functions now available in the YieldPlanet Channel Manager. The Channel Manager’s new ReviewPro widget gives hoteliers swift access to statistics formed on the basis of reviews collected from such varied sources as TripAdvisor, Facebook, Booking.com, and Expedia. These statistics indicate the main source of your hotel’s reviews, and what’s more, breaks down these said reviews into negative, neutral, and positive categories. This allows you to quickly catch wind of negative or neutral reviews damaging the reputation of your hotel.